Insurance providers worldwide are looking to reduce costs, grow revenue and increase customers through innovation. 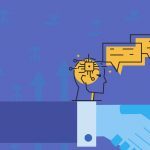 Mobile is a channel that insurers are banking on to reach more customers, thus growing revenue by generating cross-selling and up-selling opportunities and reducing self-service costs through implementations like chatbots. However, a flashy mobile application isn’t enough to attract customers and drive revenue. New generation of consumers are becoming increasingly reliant on mobile and insurers must find innovative ways to reach this rapidly growing customer base. A mobile app with an array of functionalities is a great channel for insurance companies to help their customers with self-service options to boost engagement and drive customer mobility. The far-reaching capabilities of mobility can even increase insurance agent productivity by allowing faster closure of opportunities, superior customer management and ease of access to product information. Mobile technology is driving digital transformation with insurers rolling out customer facing and agent facing applications rapidly. A well-developed customer facing app will help customers manage their insurance policies, locate agents, generate an immediate quote and manage premium payments. Similarly, an insurance agent application will help agents manage customer accounts, share product information with prospects and easy customer management. Agent Locator: Helps customers to easily reach out to agents to discuss available policies and new offerings. Get a Quote: Potential customers can easily generate a quote based on the policy they show interest in without even having to speak to an agent. Report of claims: Customers can easily report any accidents, upload pictures, submit necessary documents and even get in touch with nearest hospitals and towing companies as an example. Multiple Transactions: Allows policy holders to book some available benefits and policies from the app itself. Management: the self-serve mobile platform allows policy holders to also access an account with personal policy details and even set reminders pertaining to payments and so on. 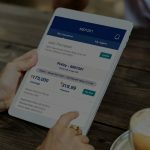 Payment: possibly the most revolutionary introduction to the insurance industry, policy holders can now pay premiums and receive premium information via the self-serve app itself. Multiple Policy Linkage: Customers can now link all their policies to one account and access it from this account. 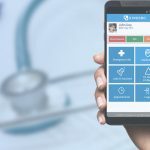 Streebo’s Mobile Insurance Suite has helped numerous insurance organizations drive customer experience and improve agent productivity through a personalized app experience and many self-service options. Drive digital transformation through a truly data-driven insurance organization, increasing transparency for customers, insurance agents, affiliate partners and even back office employees. Looking for ways to drive customer engagement and increase agent productivity in your insurance organization? Request a demo from Streebo to see how our comprehensive Mobile Insurance Suite can completely transform your enterprise.